They are < 4 oz (~3.6 oz), wtf? ... they have a ~5mm drop. Certainly not zero (like I prefer), but probably close enough for a running shoe. One reason i've shy'd away from shoes like this is: cost. My XC flats are always MUCH cheaper. Man I love New Balance.. so I imagine I won't be disappointed. I will probably get to try them out tomorrow. did you ever get zoom streaks? they're 5.x ounces i think. nice, havn't seen those. They look solid. I like the bottom. 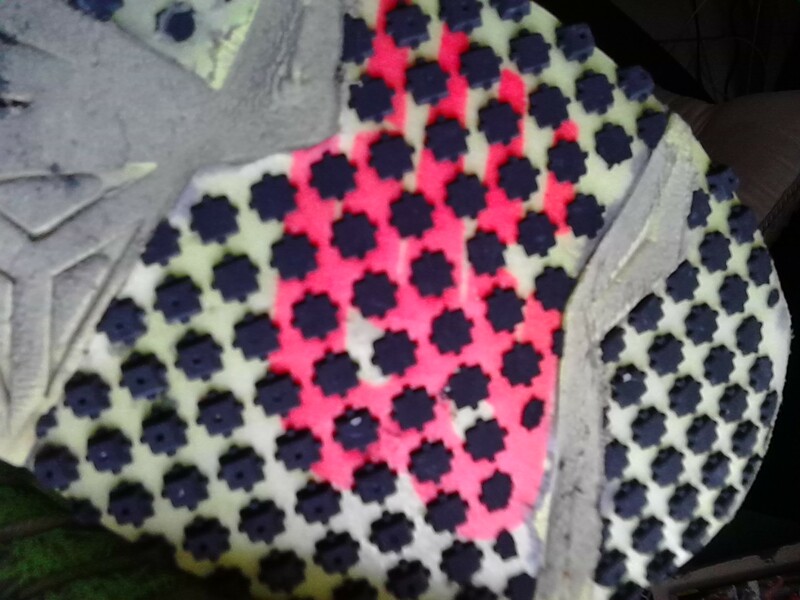 The bottom's of the NB 5000v2's look like they will wear down faster than those streak's. Looking great. I need to look around for some of these. minimal, zero drop but with some cushioning. vibram soles too - so they'll last. ^^^9.3oz is heavy, part of the reason adarq started wearing NSWRs is because of how light they are. i realize that 4-5oz difference doesn't seem like much but it's on your feet. i feel totally different in clunkier shoes and so have been wearing as light as possible shoes for years now. they look nice for sure, I like them.. only thing I actually don't like about them is the vibram sole. 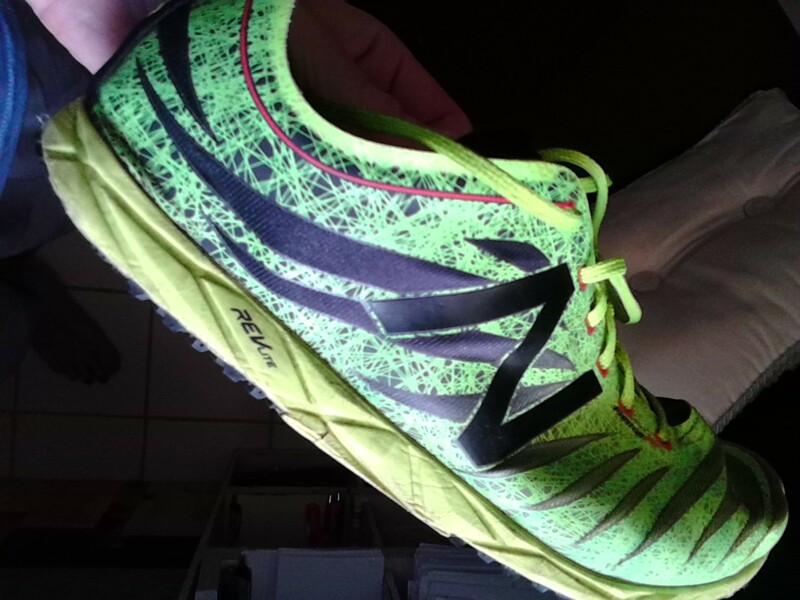 I actually don't like running in my NB minimus's because of their vibram sole. After experimenting with both for quite some time, I DEFINITELY prefer a "normal sole" for road running (or even running on rocks/dirt/grass etc); much stronger/springier. like LBSS said, I just don't like that they are 9oz. That would feel pretty heavy to me for running, but i'm so used to shoes that are 4-5 oz. A bit lighter (7oz instead of 9oz). I just don't like running in them though. Vibram sole feels weird in a "normal shoe", but feels much better in the actual vibram's (finger toe style). Maybe it's because we're much more cognizant of what's on our feet and what we shouldn't do with them when we're in the actual finger-toe style shoe. Not sure tbh. Vibram soles are definitely durable though & the way we run in them keeps them from "grinding down". My minimus's look brand new & so do my vibram's. My NB XC900v2's wear down fairly quickly, but my Saucony Shay XC4's are bionic; over a few hundred miles on them and this "protruding tread" is still there, it's mind blowing. Hoping these NB 5000v2's have a more beast sole than the NB XC900v2's. "Did they put the shoes in here?" "WTF THESE ARE LIGHT AS FU.."
I havn't laced them tight yet (or run in them), but impressed so far..
probably the nicest running shoes i've ever worn. I wouldn't wear these to sprint/jump though, probably because of the 5mm drop & it would probably tear them up. The structure of the shoe is VERY thin. But for running, man they are insanely light yet supportive/springy/strong. Feel really good on my feet. Also tighten up (via laces) very well. The grip is very solid.. Sidewalks were wet which usually has me feeling a bit slippy on some spots, didn't feel any of that (but was still cautious). Felt great on sidewalk (concrete), asphalt, or grass. Also because of the 5mm drop, going heel->toe feels "faster" than my 0 drop XC flats. I get a really fast "roll", but that's typical of any running shoe. Still felt fine going midfoot in them. Overall, so far seems like an extremely good shoe. v1's not v2's, but pretty much the same thing. i might be one of the first people to post how many road miles you can run in these things... hehehe! havn't found anyone saying how long they have lasted. easily my favorite shoes to run in, ever. Is that not ridiculous, for 3.6 oz shoes? Those little grip gears on the bottom of the shoe, mostly look new. The only missing pieces of grip seem to be on my left shoe where perhaps my heel has gotten more work, OR, due to jumping. Because prior to jumping I only had a few of the pieces of grip missing on my left shoe. The shoes themselves look like they've held up quite well imho. 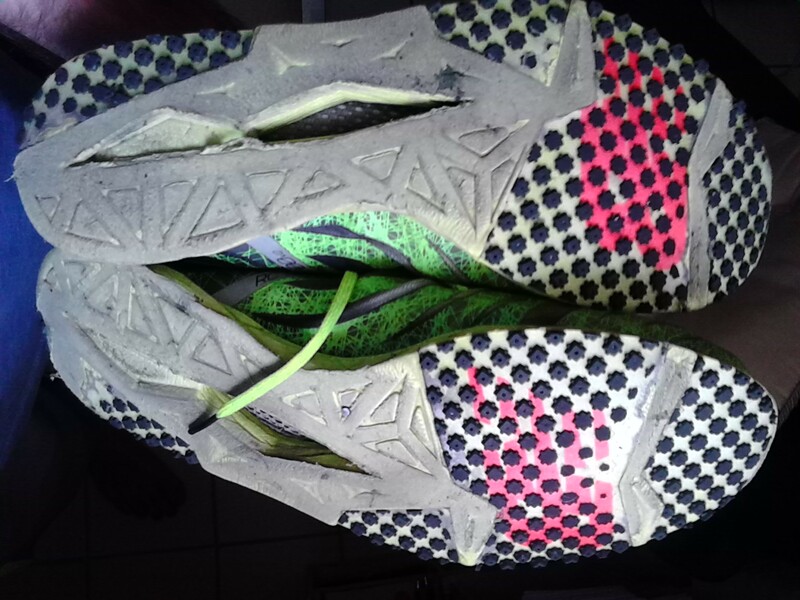 The grip on my XC flats (NB, SAUCONY) is nowhere near as new looking/feeling as these, and they have ~half of the volume. These things are built like tanks. They feel so strong/sturdy even after all of this mileage. just epic shoes.. can't praise them enough. ah awesome! after looking at pics of them new i thought they would shred up so fast but it appears not! would the grip be enough for xc/trail or would you stick to road/track stuff? i imagine they feel pretty good to walk around in with the extra cushioning over more minimalist models? gonna try find some over here, maybe a new balance outlet or something in the city might have some. ah awesome! after looking at pics of them new i thought they would shred up so fast but it appears not! ya I thought the same too when I first got them.. thought those little gear-like grips on the bottom would just shred quick. I was worried about having to buy my next pair in a few months... HEH! would the grip be enough for xc/trail or would you stick to road/track stuff? well, they'd feel good for xc/trail but, I think they'd tear up alot quicker if you were running on rocks and such. It's like a "foam" substance for the sole, instead of some hard rubber. You can see in the pic some pieces of it shredding off/sanding down. So even though you could run on those surfaces and they would feel good/protective, I think they'd get beat up quicker. If the trail surface is mostly dirt/grass, I think they'd hold up well. i imagine they feel pretty good to walk around in with the extra cushioning over more minimalist models? ya they feel good just walking around. I don't walk around in them outside of training but, you just forget they are on your feet. feelsgood. gonna try find some over here, maybe a new balance outlet or something in the city might have some. nice! I called an NB outlet here prior to buying them online, they didn't carry them. ya i don't even think they are listed on the "running" section of newbalance.com .. i don't get it. If you get a pair, i'm definitely curious to see how fast you adapt to them (and how much you enjoy running in them) given your preference of minimalist/zero drop shoes (like myself). I got used to them VERY quick.. I don't even think about running in my XC flats/vibrams/minimus anymore ;f. They actually made me care less about 0 drop vs ~5mm drop shoes.